The next Roundwood & District Community Council meeting will take place on Monday 11th of February at 8pm in Roundwood Parish Centre. All welcome. North/South winners on 5th February were Phil Power & Brid Clancy, 2nd Monica Brady & Gertie Fee, 3rd Catherine McGillycuddy & Bridie Nolan and 4th Ger Lenihan & Paddy O Brien. Victors for East/West were Clare Sally & Kay Plunkett, 2nd Catherine Halligan & Claire O Connor, 3rd Rowena Brady & Margaret Bolger and 4th Margaret Byrne & Pamela Byrne. Next whist is on Wednesday 13th February in The Parish Centre. Roundwood Historical Society will hold their AGM on Monday 25th February 2019 at 8pm in Roundwood Parish Hall. There are a number of vacant positions on the committee so please feel free to contact any member of the committee if you would like to be nominated for a position or suggest someone for a nomination. In addition to the AGM we have two talks scheduled for March and April. The March talk will take place on Tuesday 5th March at 8pm in Roundwood Parish Hall. The topic is the 100th Anniversary of the First Dail and will be given by Éamon Ó Cuív, TD. The April talk will take place on Monday 29th April 2019 at 8pm in Roundwood Parish Hall. The topic of the talk is the Repatriation of WB Yeats and the Non Repatriation of James Joyce based on a new book by Anthony J. Jordan who will deliver the talk. The monthly dance will take place in Roundwood Parish Centre on Friday 15th February with music by John Flood. There was no jackpot winner in last weeks draw The numbers drawn were:-7, 9, 12 &14 There were fourteen match three winners, Noel McCoy, Faith McMahon, Gina Coster, Ross Hempenstall, John Byrne, Tom O’Gorman, T. Shannon, Fiona Timmons, C. Costello, Maureen Doyle, Matthew Fox, Joe Synnott T & T & Mark Burke Next weeks jackpot will be €25,600. 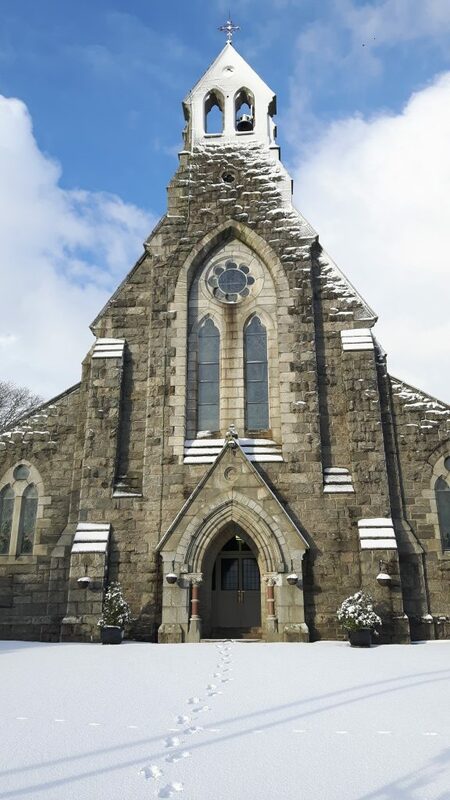 This entry was posted in News & Events on February 11, 2019 by roundwoodiewicklow.